This story originally appeared in the June 2017 issue of Fell Pony News from Willowtrail Farm. 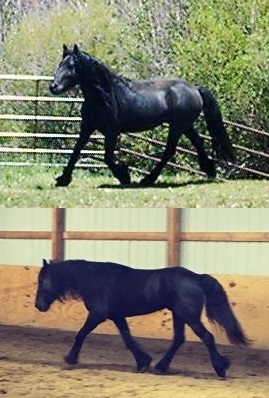 When choosing a breeding stallion, it pays to look at not only the stallion, but also the stallion's dam. It turns out that Grandma has a significant influence on the quality of the stallion's offspring. Three photo pairs in the essay, one of which is shown here, illustrate the influence. To request the complete article, click here. 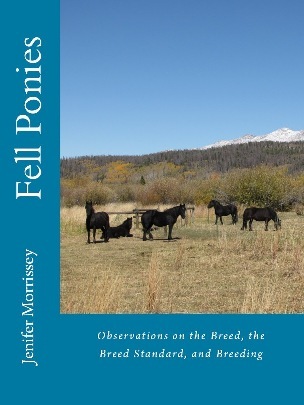 Articles like this one make up the book Fell Ponies: Observations on the Breed, the Breed Standard, and Breeding, available internationally by clicking here or on the book cover.